This is an album I've been looking forward to since the first song preview became available about half a year ago. After receiving the promo, with a euphoric sense of carnivorous butterflies in the stomach, just over a week ago, Forfald has been played almost daily. I have, however, struggled to find the right words to convey the essence of this ominously, haunted black metal, spawned in Denmark. Gespenst: (Danish / German) ghost, spirit, phantom, apparition, revenant et al. The band debuts with 40 minutes, relatively evenly distributed over four dreamy songs that takes the listener into a dark, spiritual universe. The two that make up the band's core is Danish Genfærd (Guitar & Synth) and French Galskab (vocals & bass). Both dwells in Woebegone Obscured and Black Dementia. The Frenchman also has a history in Glorior Belli and Horned Almighty. The music moves slowly and levitating like a ghost hovering unhurriedly and absent-minded, as if in a trance, around in a sort of deadlocked pattern of habituated routine. The music has absence of pace, in an otherworldly realm where time does not exist, in common with funeral doom, but this funeral in no man's land is based on black metal, or black/doom if you will. The musical aspect thereby automatically generates certain similarities to dsbm, albeit without the same depressive touch, although Forfald ain't no rollicking seance either. Gespenst conveys its share of dystopia, but in a dreamy, neutral way. Just as pain doesn't necessarily have to hurt (purely objectively, and strictly speaking, it's nothing but nerve impulses which informs the mind about risks that may cause bodily injuries) there are no other morality, ethics, right or wrong than what rational empathic reasoning and subjective opinions (or possibly enforced regulations) dictate. We move through strange, yet familiar abstract landscape with neutral minds. The moods I pick up along this journey in the underworld, don't give negative or positive sensations. Neither indifference (thankfully), but rather curiosity and associated observant contemplation. That the tempo is subdued, is of course not tantamount to the guitar strumming taking it easy or the drums calming down. Although slow-moving passages with abominable churning and dissonant eeriness can frequently be found, the instrumentation is black through and through and we of course finds those sequences where instrumental rapidity takes the shape of a meandering serpent and becomes monotonous and hypnotic. As a waterfalls where millions of drops plunge into the abyss, and tons of water smash into the ground, all this cacophony of suicidal waters are reduced to a smooth, soporific hum. The music is ethereal, with vibrating guitar strings whose ominous melodies convey terrifying visions. The music is draped in a becomingly clear and resounding sound, with strong timbre, which emphasizes the ethereal atmosphere. The feeling of ghosts that is restlessly present, of spirits who follow us on the trip, is consistently. In the opening sequence to the closing Life Drained To The Black, creaking doors and a short monologue provides spine chilling moods of a haunted house. As if the famous interlude of that cursed ship from Rime Of The Ancient Mariner met the horror from the intro to Shining's Ytterligare ett steg närmare total jävla utfrysning (“As I was going up the stair, I met a man who wasn't there. He wasn't there again today. I wish, I wish he'd go away...”). During our stay in limbo, the forms and shapes are intangible. After many spins of Forfald, I can't always remember what's behind the next abstract corner, or hummingly “recite” what I've just experienced in retrospect. All the anomalous details spins around as just before consciousness fades. All the sublime nuances of the music makes it hard to remember in detail, but it also provides longevity. As a fictional protagonist in one of Lovecraft's short stories, I nevertheless feel inexplicably attracted to this cryptic, bizarre and magical hidden dimension of half material and half spiritual existence, as in an overwhelmingly vivid dream. The dark minded and adventurous will probably come to find wellbeing in this obscure universe. The Danish band has no flaws, but the genre doesn't invite to as eventful a course, as many antics, so strong and memorable feeling etc. as the highest rating probably deserves*. It's still merit of my uttermost acclaim. I really thrive, and I hereby advise you to attempt a soaking dive into the netherworld of Forfald. The album was recently released on vinyl in 500 copies, and will eventually be released on CD via Hellthrasher Prod. It hasn't been much more than half a year since French Monolithe initiated their second musical saga with Epsilon Aurigae. The band is already finished with the next chapter, as they actually commenced on it even before the predecessor was released. As with Epsilon, Zeta consists of three songs at precisely 15 minutes each. Those who enjoyed the band's last creation, will probably also appreciate the latest, but the band doesn't break any new ground in the same way as last time. Zeta Reticuli definitely has its similarities with Epsilon Aurigae. Both chapters of the band's new saga was recorded during last year and consists of three equally long paragraphs each. The first two songs of each segment has its similarities. It's also obvious that the middle track on each release are related to each other in thematic structure, as they're named TMA-0 and TMA-1. The third song from each album do however splay somewhat musically, despite greater lyrical similarities. Monolithe's previous concept, titled The Great Clockmaker, told via album-length songs, showed a band that largely mastered to avoid repetition, despite rather narrow and niche based basic recipe and a concept that spanned as much as four albums and two EPs. The second chapter of the band's new concept, if at all a concept in that sense, is so closely linked to the first that it feels more like a direct continuation than a sequel. Something that is also natural, as both albums were created “simultaneously”, or at least approximately on a conveyor belt in 2015. If you already have made acquaintance with Part 1, you can safely surf on the sun-wind through the nebula along with the slow-moving French. Unless you've got high demands for innovation. Those who expect creative renewal might namely become somewhat disappointed. I recently, fast and recklessly, read the lyrics of both Epsilon Aurigae and Zeta Reticuli. Before that I felt I was groping a bit in the dark and missed out on something. Now I only feel a bit small and insufficient. With the many similarities that exist, both titles, song structure, song length and graphics, I have always thought of this as a new concept, without being able to remember if that's even been confirmed anywhere. Besides from lyrical similarities from the predecessor's third song to the last song on the latest work, I can't quite see or get a hold of any all encompassing leitmotif thread, or even sketch up any overall chimerical storyline like framework. Perhaps Chapter Three can provide an answers once it falls like a meteor from outer cosmos. There's nevertheless no doubt the moods emulates the vast universe, perhaps far beyond our own galaxy. Creating solid atmospheric moods is something Monolithe have always fully mastered. Along with elongated, dreamy music that flows along the rolling rivers of honey and syrup. The band sounds more energetic now than ever during The Great Clockmaker, but even if the band has never before been so swift, it doesn't mean that they're venturing into the speed metal industry after fifteen years of existence. The French might be considerably closer to pure death/doom by now, but with enough tar underfoot to still trudge along at a funeral pace, although they ain't so utterly melancholic that wearing a black armband or ribbon would be required. The sound is of course good, without us having to recite every recording detail. It should be sufficient to mentioned that band leader Sylvain Bégot has produced the album, and that Andrew Guillotin has exercised the last stages of post production in Hybreed Studio. However, it's rather interesting to observe the band's dynamic development, since Sylvain (as mentioned in the Epsilon Aurigae review) has been taught the noble art of dynamics from Alex, this ardent advocate of dynamic range. Monolithe is still confined at the same level as its predecessor, with an average of DR9, which there's certainly no reason to complain about. We end, as the album does, with The Barren Depths. As mentioned, this sticks out slightly. Much thanks to the airy, bright guest vocals from Guyom Pavesi vocalist of rather unknown French rock bands such as Devianz. His vocal contributions creates a distinctive and mournful, yet far from tearful mood. The song otherwise provides vibes that I unfortunately don't seem to be man enough to place. Like the others, this song undergoes different but very coherent sequences that all has the hypnotic effect that this band is so bloody marvellous at. I can conclude, before we summarize and justify the grading, by also mentioned that Jari Lindholm from Exgenesis and Enshine, another band that's taken to space, leave some tasty transcending guitar licks on TMA-1. 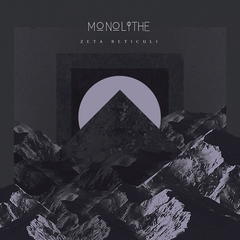 Zeta Reticuli is once again a highly enjoyable album from Monolithe. Variation, suggestion, sound and performance is of course superb, once more, but I content myself to a solid four, as the French, spearheaded by Sylvain, besides from some ravishing and wistful clean vocals, doesn't really offer any surprises. If you've got an above average thing for Monolithe, there's no alternative to the duty of purchasing. Full-length albums comes in many different forms. Some offer a variety of different songs, each with a distinctive core, while others only offer a dozen random, disjointed aimless tracks. Some albums have an overall coherent feeling, without direct storyline relation, and others have a common leitmotif, going straight through the collection of song as a red thread led by a sewing needle. Others becomes more like a unison grey mass, while a few offer music that is truly a work of art in its own right. Where the various corners of the canvas may be radically different, yet inevitably linked together. 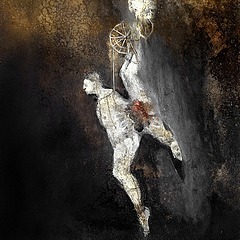 Russian Grey Heaven Fall didn't get an awful lot of attention when Black Wisdom was released last fall, but the label Aesthetics of Devastation has sought attention widely, obviously due to a steel strong belief in the band's excellence and their rock-solid product. 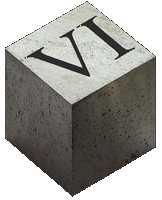 They apparently knew they were sitting on a charred jewel, a subjective (but bordering on objective) fact that more and more have have agreed to in the time that has passed since than. The Russians, a trio from Podolsk, just on the outskirts of Moscow, on their sophomore album, ten years after kickoff, commits the feat of delivering a mighty dark conceptual portrait, decorated with sparkling passages where rhythm section, precision-axe and Russian vocabulary with a frantic voice forms something that appear as a perfect interaction. Especially when the instrumental parts interact with the varied and differing, yet glidingly interconnecting atmospheric passages, forming a disharmonic atonal harmony second to none. Or few. I'm not saying that it's unparalleled, but how often do you come across the sort where everything literally works as a charm? The music is a hybrid that can provide its associations, but when Black Wisdom is played, a potent sphere is formed. So thick, so airy, so light, so claustrophobic, so heavy, so soaring, so magical, that you won't be left wondering about similarities, or where you've heard this or that sequences before. If, however, you decided to reflect on it, you might come to the following conclusions. The leaden and discouraged colour spectrum on this twisted unilluminated oil canvas may hail from the palette of for example Kuolemanlaakso or Eye of Solitude. The brush has sprinkle celestial bodies and alien galaxies on the portrait's dark night sky, and the undertow of the cosmos might partly corresponds to the universe dwelt in by the compatriots in Below the Sun, as well as Monolithe's recent stellar chapter. Large parts of the scenic representation, however, depicts the dim inner universe, the underworld of the spiritual sanctity, a confining subconscious dungeon of the soul. The unthinkable sediments at the endless depths of the mind's spiritual abyss. That is where French and Icelandic kaleidoscopic dissonance appears. Examples are redundant, since you already know these well without further hints. Add a small pinch of Rotting Christ, or an equivalent, for a lethal dose of clever primitiveness and alchemy (and for me to avoid using Necros Christos as a reference for occult undertones once again). 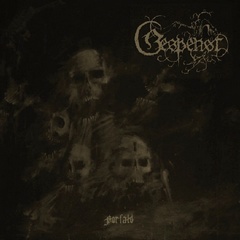 The lyrics that accompany the western world edition of the album are equipped with English translations, but the abominable guttural accentuation, these grotesque roars, consists of Russian vocabulary. Even without Russian hieroglyphs, the lyrics can come across as quite intricate. The story that unfolds is, the way I interpret it, as suggested a deep dive into mental disintegration. The lyrics ooze of schizophrenic delusions in profane synergy, where the warped depressed protagonist (or antagonist) faces his divine or diabolical creator, or possibly his own inner distorted reflection. With 51 minutes, this claustrophobic work feels like a monolithic blister that is tearing the soul apart. The length still doesn't corresponds to the embarrassing lousy Norwegian media terminology of describing anything large with “monster-” as prefix, in this case; “monster-album”. It is basically long songs that meet us, where the majority is close to 10 minutes in one direction or the other. The Lord Is Blissful in Grief, clocking in at just under 7 minutes, opens oppressively and aggressively dystopic before the two following tracks (10 minutes on average) drag the music in a somewhat more soaring direction. The airy flight is still located closer to nightmarish than dreamy moods. The 3 minutes short interlude Sanctuary of Cut Tongues brings chanting voices and ethereal sound collages with transcendental vibes. The music moves ahead with aftershocks of the eclectic ambient atmospheres in imperfect union with discordance, chaos and paranoid delusions, before That Nail in a Heart rounds off by pulling this music into a hypnotic spiral of resignation and self-pity. A wonderful end-piece with a few of the album's quietest, most progressive passages, which testify to a hesitant, irresolute character who uncertain begins to question his own cocksure determination, his goals and standpoint, and perhaps finally realize he has tangled himself into a mental ravine of decay, where all exits are sealed off and all bridges are burned. A spectacular finale of an album that creates its own peculiar universe in a manner that's close to perfection. A few minor flaws exist, but are dismissed as insignificant by me. The dynamic range, for example, is rather low, with DR7 before the interlude (on DR10), and only DR5 on the two last songs. The powerful, resounding and oppressive claustrophobic sound is still rich and clear, and as so, more than approved. I hope I have mentioned the most vital aspects concerning this masterpiece. I hereby bid you a wonderfully agonizing journey in depravity, mental decay and an unstoppable seething maelstrom of outright insanity. Unlike the main character, you can again draw fresh air on the surface after finishing playback before diving back down into a metaphysical, otherworldly innermost hell. Black Wisdom can be purchased digitally or ordered via Aesthetics of Devastation. Watch the video for the penultimate song Tranquility in a Black Room, and listen to the album right below. You can also hear the band's self-titled debut from 2011, ...Grey Heaven Fall. 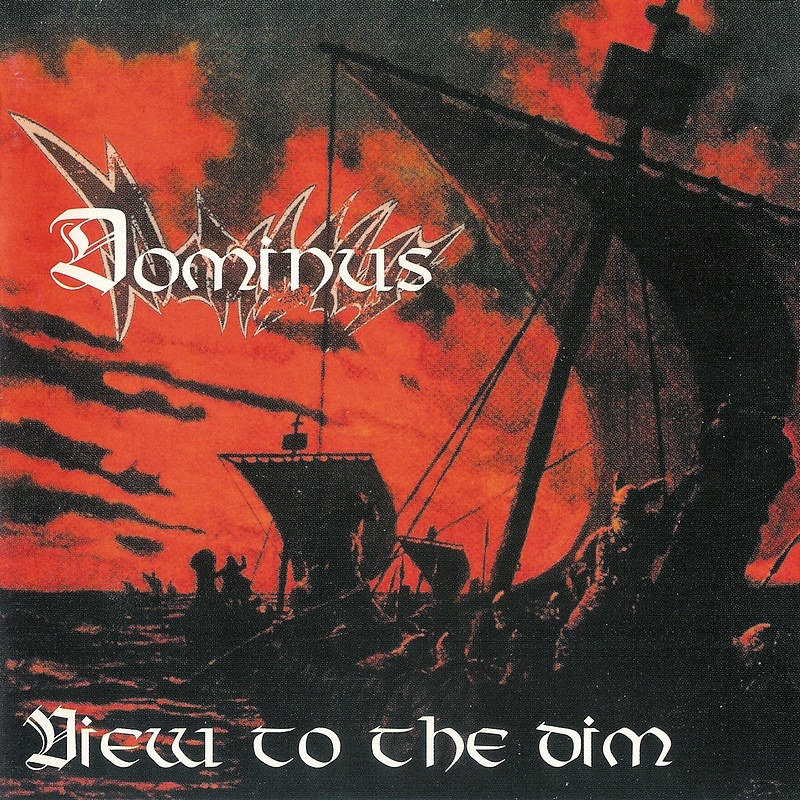 The Danish lads of the band Dominus started up 25 years ago, but never quite found the fairest wind to hoist their sails, and never quite managed to decide what style to go with, changing genre from album to album. 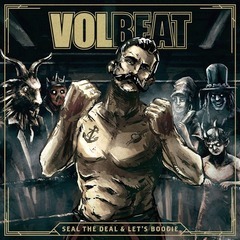 The band split up shortly after the millennium shift, and three of the former (Do)m(in)usicians started Volbeat 15 years ago, named after Dominus' third album Vol.Beat. The band debuted strongly with The Strength / The Sound / The Songs 11 years ago, but broke through for real with the sophomore Rock the Rebel / Metal the Devil a few years later. The formula for success would prove to be almost as schizophrenic as the first attempt, but now by mixing different elements into a single smear. In Norway they discuss what the nation should make a living of after the oil runs out. In the metalivers, you rather hear people wondering who's going to take over the status as “big bands” with a massive universal appeal when the current giants abdicate. After their breakthrough, Volbeat has grown into one of few potential successors to the stadium-throne after many a sold-out concert, thanks to strenuous efforts both concerning composing, rehearsing and touring. The re-incarnated Danes have had their share of replacements as well. Most recently when original member, bass player Anders Kjølholm left the band last year. I'm not really sure whether his replacement Kaspar Boye Larsen participates on Seal the Deal & Let's Boogie. It's otherwise the role as second guitarist that has been most exposed to turnovers. At least drummer Jon Larsen is a stable rock, carving out safe and steady rhythms ever since the re-birth. Time flies. After three strong album boosting their career in rocket speed, and placing them firmly on the map, the band only succeeded partially with the fourth album Beyond Hell / Above Heaven, which of course is a shame, as it contains a few proper treats. Rock bottom, however, wasn't reached until a few years later, with Outlaw Gentlemen & Shady Ladies, which besides from delightfully eerie Room 24, where King Diamond left his mark, didn't sport any major Volbeat-hits. Without this trademark, the album remained fairly anonymous. And now, album number six has already been on the market for a month. Backed by a major commercial label, having a greater focus on financial gain than artistic integrity, this is of course released in half a dozen versions with just enough differences to cause frustration for completists. Seal the Deal & Let's Boogie starts of quite captivating with The Devil's Bleeding Crown (see music video or lyric video.) Along with the cover art and semi-title song Seal the Deal, this boosts a bit of A Warrior's Call vibes. After subsequent Marie Laveau, it's time for what is probably the album's biggest hit. What version varies, though. We Scandinavians are favoured with For Evigt, while the English-speaking community must cope with the English version, The Bliss. Whatever version you “miss out on”, it's set as a bonus version on several versions of the album. The Danes have on several occasions mixed a little native language into the songs. Especially in the chorus. Thanks is a personal favourite from Beyond Hell..., but it's most natural to compare with the bigger hit The Garden's Tale, as Volbeat has once again partnered with Johan Olsen, which hereby outperforms Kim Larsen (Danish rock musician, since the late 60s. Famous in all of Scandinavia.) as my preferred Danish vocalist in Danish. In the song Death Of A King on Amorphis's latest album Under the Red Cloud, the band played around with oriental Indian tones. Volbeat does the same with The Gates of Babylon, albeit the Danes use guitar, not sitar, to achieve the same mood. For the most part. I do however notice a long-necked lute lurking in the background. With Let It Burn, we have a traditionally good Volbeat ballad, before Black Rose offers juicier drive. This seems to come in two different versions, of which at least one includes guest vocals from Danko Jones. The Danes are not unfamiliar with implementing a cover songs in the middle of the race, and they are very good at making them sound like their own material and fit right in. They don't make the most obvious choices either. I Only Wanna Be with You (Dusty Springfield) and Making Believe (Jimmy Work) are probably the two most well-known examples. Both Rebound (borrowed from Teenage Bottlerocket) and Battleship Chains (“stolen” from Georgia Satellites) are rockers, but with different approaches. The first has a touch of typical late-punk, while the latter is more of a blues-rocking joy spreader which, complete with tongue-twister chorus, becomes an obvious favourite. Both got plenty of drifting energy, and good melodies, though. Between these we find Mary Jane Kelly, again a song dedicated to a female figure in the band's discography, Goodbye Forever, yet a pretty melody with melancholic undertones of lost, forlorn love, and said title track that flexes some muscle. Are you beginning to see a connection? Two songs follows, before the bonus tracks takes over. Two of them have already been mentioned, while the last two are one tough but meaningless short clip named Slaytan, and a good live version of The Devil's Bleeding Crown. If you've got an impression that Volbeat is recycling, I can't accuse you of being wrong, although I'd prefer to look at it from a slightly different angle. The band is taking a backward glance all right, and they come of as being themselves through and through. If you already have the three or four first albums, you'll get no new musical impulses from the band this time. Well, if we ignore Babylon's Sumerian tones*. “Reuse” nevertheless ain't the impression I'm left with, and I've heard the album a lot lately. It's namely very suitable for driving and other situations where background noise requires easily perceivable melodies, in addition to being far more “family-friendly” in the background at the dinner table, et al. than most new music you'll find on these pages. The impression I'm left with, is that Michael Poulsen & Co. have done a remarkable job writing new material in the vain of, but not similar to previous songs, coming up with a dozen potential hits. Well, if we turn a blind eye to the “plagiarism” that nonetheless have been reworked to match the band's distinct character. Seal the Deal & Let's Boogie contains a good handful of songs with strong distinctive character, sprinkled with catchy hooks. All songs stand effortlessly out from one another without the album splaying in all directions. The band still blends their own distinctive and charismatic metallic brew of punk-rock, blues-rock'n'roll and heavy/groove metal, performed with focus on killer riffs, groovy rhythms, wonderful guitar works and catchy vocals, wrapped in a luscious sound. There are still a whiff of southern rock, but the Danish spare Cowboys has toned down the country & western elements. For anyone uninitiated to their sound, Volbeat has often been portrayed as “Metallica meets Johnny Cash”, at times with mentionings of a little Elvis Presley and the Ramones for good measure. Sure, Volbeat pretty much does the same as before, but they have retained their signature, and distilled it to a dozen new refined tunes that will doubtlessly please old fans and gain new ones in the process. For extreme metal fans, the smooth, catchy and harmless rockabilly-metal of Volbeat, with its romantic undertones, might not be the best substitute to replace fading arena-giants, but for all those with a broad-minded taste, there's hardly any better and more unifying deputy around. Something even YouTube's statistics bears witness to. Every new music/lyric video are linked to in the review, but you can also access them from here. Interestingly, For Evigt has been viewed over a million times more than the English equivalent The Bliss. The former is now seen more than 3,000,000 times. The only proper music video, to The Devil's Bleeding Crown, is “only” shown about half as many times, but it has also been on-line for half as long. I really enjoy the album. If you like melodies, I bet you will too.